As a parent, chances are you’d be familiar with Hand, Foot, and Mouth Disease (HFMD), a viral endemic that is common in young children and has seen a worrying record of outbreaks across the country. As of 13 May 2017, there have been over 13,000 reported cases since the beginning of the year. No time to let your guard down – protect your child with these easy tips on keeping HFMD at bay. Fever, sore throat, loss of appetite – these are symptoms we often brush off as simply feeling under the weather, but they are also warning signs every parent needs to take note of. Besides the initial telltale symptoms, an infected individual may develop sores in the mouth, rashes on the palms of their hands and blisters on the soles of their feet. While HFMD is a generally mild infection that goes away on its own within a week, rare cases can cause severe complications on the brain, lungs and heart. Knowing how to recognise symptoms will help you to catch the disease early and prevent it from becoming a serious health concern. To ensure that we are properly equipped against the spread, the first line of defence is to keep yourself updated on news of current cases around your neighbourhood and take measures in the event that an outbreak occurs. 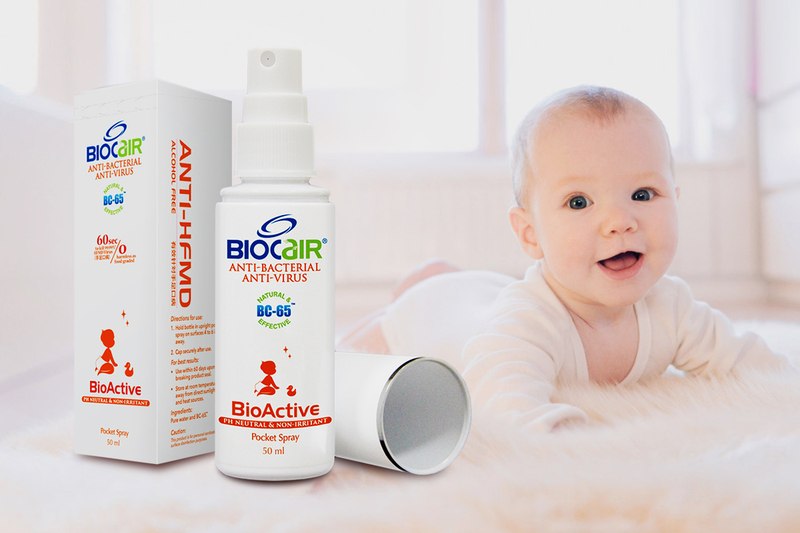 Safeguard your child by keeping the BioActive Anti-HFMD Pocket Spray handy – it can be used on the hands and feet of your tot before, during and after a day out, effectively protecting them against infection-causing bacteria. As HFMD usually spreads through direct person-to-person contact, it’s important to start drilling the practice of good hand hygiene into your little ones. It sounds simple enough, just soap and water right? According to the World Health Organization, this 11-step procedure is the ideal method for washing your hands – especially after playing with toys, wiping a runny nose or visiting the bathroom. It might sound like a chore to remember, but all it takes is just 40 to 60 seconds of your time to ensure clean, germ-free hands! One of the common ways a person could contract the virus is through surface contact, which poses a higher risk of an outbreak in public spaces such as kindergartens and childcare centres. Although extra precautions have been implemented in these facilities, parents can also help by stepping up your sanitation game at home. Kids love their toys but are unaware of the amount of bacteria they’re carrying, so always make sure to thoroughly disinfect your child’s playthings. Don’t forget other frequently touched surfaces like potty chairs, crib rails, or diaper-changing areas. We recommend using a fast-acting agent like the BioActive Anti-HFMD Pocket Spray, which is proven to eliminate 99.999% of HFMD viruses in less than a minute. The best part? It’s also safe to ingest and inhale so you can even spritz it onto their pacifiers and bottles! In addition to good hygiene practices, another preventive measure is to avoid intimate contact with the infected individual – this includes hugging, kissing or sharing utensils. If you have other kids in the household, consider keeping them apart for the time being while the child is still contagious. Quick fact! While HFMD typically affects small children, adults like yourself are prone to catching the virus as well. To prevent getting infected, the BioActive Anti-HFMD Pocket Spray helps to keep you sanitised so you don’t have to worry about holding your bubba. Plus, it’s alcohol-free, non-toxic and non-irritant which makes it safe to use around your children. Children under the age of 5 are more likely to acquire the infection as they’ve yet to develop antibodies that fend off viruses, but those with a healthier immune system tend to have a lower risk of getting sick. Start by implementing a healthy diet of immune-boosting fruits (strawberries, papaya, mango) and veggies (pumpkin, kale, spinach) that are rich in vitamin C and antioxidants. If your toddler has difficulty eating their greens, try mixing it in milk, blending it into a smoothie or baking it as a treat – they’ll never know the difference, we promise. At the same time, make sure your child’s clocking in ample ZZZs as sleep deprivation can make them more susceptible to illnesses. Depending on age, they will require between 10 to 18 hours of sleep per day. With proper prevention, you can do your part in protecting your family from HFMD. To help you get started, we’re giving our readers a 10% discount off any online purchase of BioCair products. 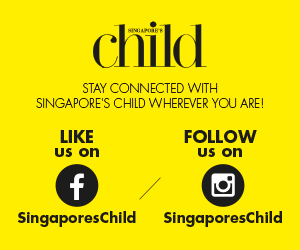 Simply log on to www.biocair.com.sg and apply the promo code SGCHILD10! This post is brought to you by BioCair.